The Nigerian National Petroleum Corporation on Thursday announced the formal commencement of the first phase of the rehabilitation of the 210,000 barrels per day capacity Port Harcourt refinery. Port Harcourt refinery complex also houses the 60,000 barrels per day old refinery that was built in 1965 and the 150,000 barrels per day new refinery, inaugurated in 1989. The Group Managing Director, NNPC, Maikanti Baru, flagged-off the formal commencement of the rehabilitation work on the facility at the premises of the refinery in Port Harcourt on Thursday, 19 years after the last Turn Around Maintenance exercise of the nation’s premier refining plant. 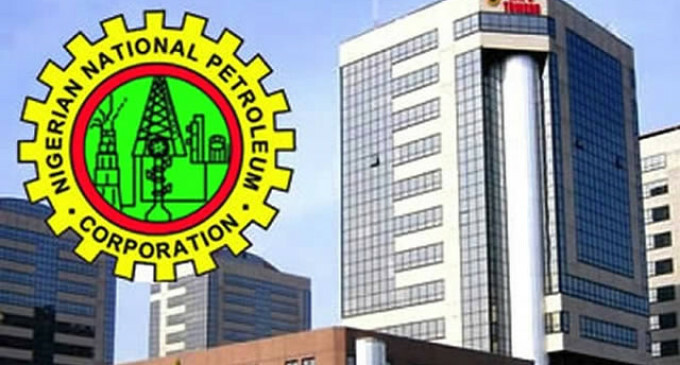 NNPC Group General Manager, Group Public Affairs Division, Ndu Ughamadu, in a statement issued in Abuja, said the project would be executed by Milan-based Maire Tecnimont S.p.A, in collaboration with its Nigerian affiliate, Tecnimont Nigeria. NNPC said Maire Tecnimont S.p.A is listed on Milan Stock Exchange with interest in international engineering and construction, technology and licensing, and energy business development. According to the statement, the Tecnimont Group has operations in 40 countries, numbering about 50 operative companies with a workforce of about 5,500 employees. Baru stated that at the end of Phase One, the refinery complex should be able to reach 60 per cent capacity utilisation. NNPC said it was engaging Eni/NAOC as Technical Advisor to support the rehabilitation of Port Harcourt Refining Company and that NNPC/PHRC would leverage Eni’s extensive refinery supply chain network and warehouses to procure critical materials for the programme. The corporation’s spokesperson noted that the first phase of the rehabilitation contract, which would run for six months, would involve detailed integrity check and equipment inspection of the Port Harcourt refinery complex beginning from the end of March 2019. According to Ughamadu, the integrity test will come as a forerunner to the second phase of the rehabilitation project which entails a comprehensive revamp of the complex aimed at restoring the refinery to a minimum of 90 per cent capacity utilisation. He noted that subject to the successful completion of the integrity checks, Phase Two of the project would be executed on an Engineering Procurement Construction basis by Tecnimont in collaboration with the original builders of the plant, JGC of Japan. Speaking on behalf of the contractors, Antonio Vella, Chief Officer, Upstream, Eni, said all the companies involved would deploy all available modern resources to ensure effective upgrade of the plant. Vella stated that with the commitment of all parties involved, it was certain that NNPC would be able to celebrate the revamp of the PHRC that would lead to its full capacity utilisation on schedule and in full safety. Speaking on behalf of the workers’ unions, the Branch Chairman of the Petroleum and Natural Gas Senior Staff Association, Odor Ayiri, and Chairman of the National Union of Petroleum and Natural Gas Workers, Dibiah Joseph, jointly pledged the support of workers to ensuring a smooth turnaround of the facility. Recall that NNPC had to abandon its earlier funding strategy by its DSDP Term Contractors/Consortia due to onerous conditions demanded after more than 12 months of negotiations. NNPC resorted to immediate direct funding from internal cash flows while it approached the financial markets for debt financing. NNPC further segmented the rehabilitation to begin with Port Harcourt refinery complex and then progress to Warri and Kaduna refinery complexes using the same methodology.